Hair fall has become a part of my life and I have started to come to terms with the fact that I will never have the stunning thick black hair that I had in school. I can't really say that there is just one cause for the hairfall but the environment around me has changed so much that I don't think hair fall will ever stop. All I try to do these days is control it and keep it under check. I don't freak out too much at the hair fallen in the shower or the room unless it hits a certain limit. I pacify myself everyday saying that some amount of hairfall is a must every day. I keep trying out various shampoos, hair oils etc etc and honestly, nothing has completely arrested the problem. So nowadays when I am trying out a new hair product I judge it based upon the amount of hairfall in the shower. The ones that work well decrease the amount of hairfall in the shower. 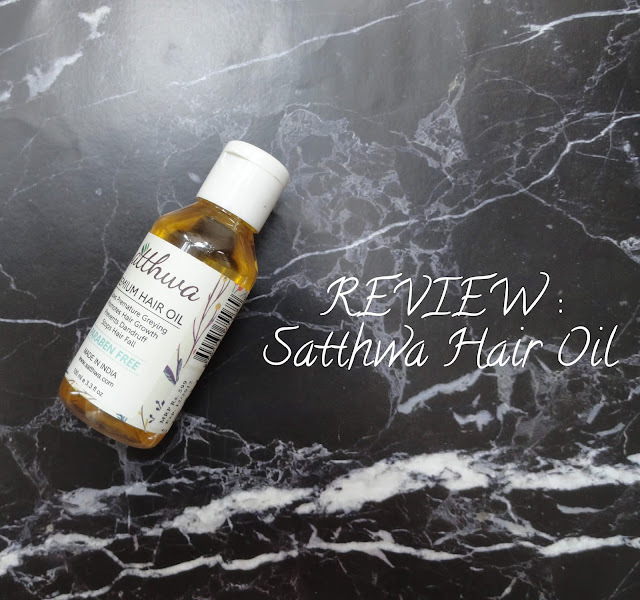 Satthwa was sent to me for review over 3 months ago and I have to be completely honest and say that I used it very erratically at first. I was travelling and I kept forgetting to use this consistently. So my first observation was that whenever I did use it, the hairfall during shower was less. The days I didn't use this before a shower, the hairfall was intense. This was like the first sign that this oil was working for my hair. 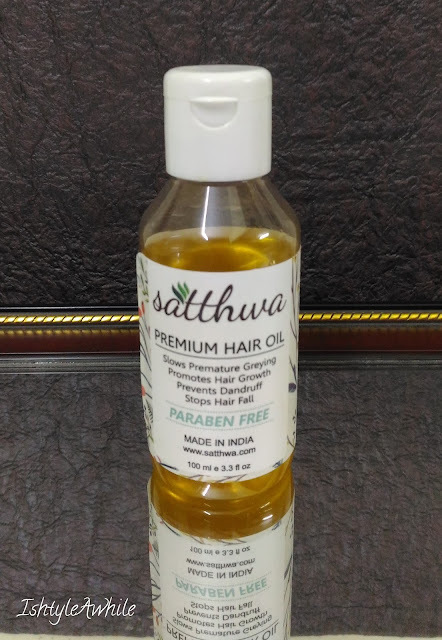 Satthwa, started by Prashanth, was founded out of the frustration of not finding any solution for his hairfall. After a lot of research he put together a blend of oils to combat multiple hair issues. There is a total of 9 oils in the blend that helps fight dandruff, reduce hairfall, reduce grey hair and so on. All the oils used are pure and there are no fillers. The 9 oils in this blend include oilve oil, vitamin E, castor oil, coconut oil, almond oil and a few others. That is a lot of goodness packed into one bottle. They have now expanded to include other essential oils as well. 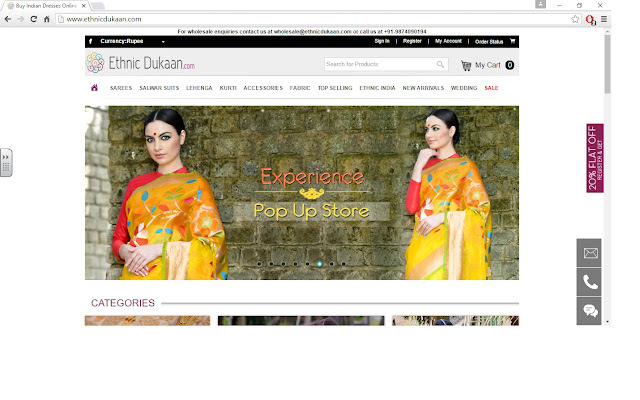 You can check their website for more. So like I said before I was not using Satthwa regularly for the first few weeks. It was very erratic. But even with that erratic usage I was able to see some difference. I use this the night before. I apply a generous amount and massage it into my scalp, and apply some on the ends as well, then go to sleep. The oil is not overly sticky and luckily no terrible scent as well. It is recommended to heat this and then massage it. But since I generally forget, I take small quantities in my palm and heat it up by rubbing my palms together. My hair is less dry when I use this and less hairfall in the shower. 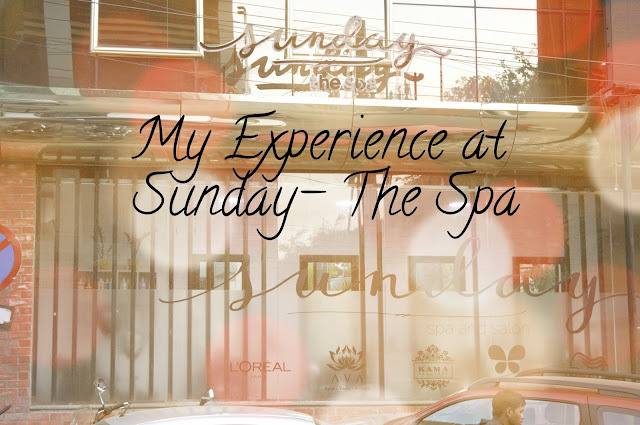 I have not had any dandruff issues at all and my itchy scalp has been less thanks to this and 2 other secret reasons to be discussed in another blog post. I cannot say that my hairfall has stopped completely because it has not, nor have I seen a lot of new hair growth. But there is a overall improvement in hair health. 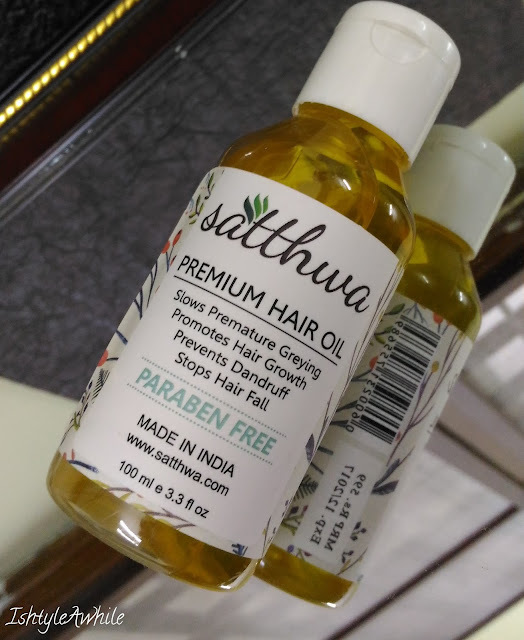 One of the biggest pros of this hair oil is that it is paraben free. So less chemicals in the hair. Price: 599INR for 100ml. Yes pricing is steep but you get 9 oils in one, so I guess the pricing makes sense. 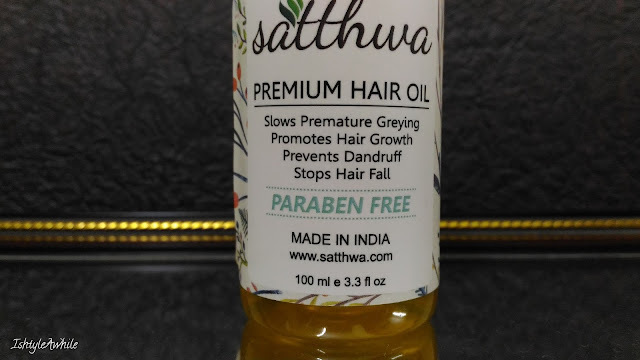 Satthwa is available on Flipkart. Of course the surrounding environment and your diet plays a huge role in reducing hairfall. One oil or shampoo is not going to create miracles. Did I like Satthwa? Yes. I do. I will definitely continue to use it till I finish it. Will I repurchase it? 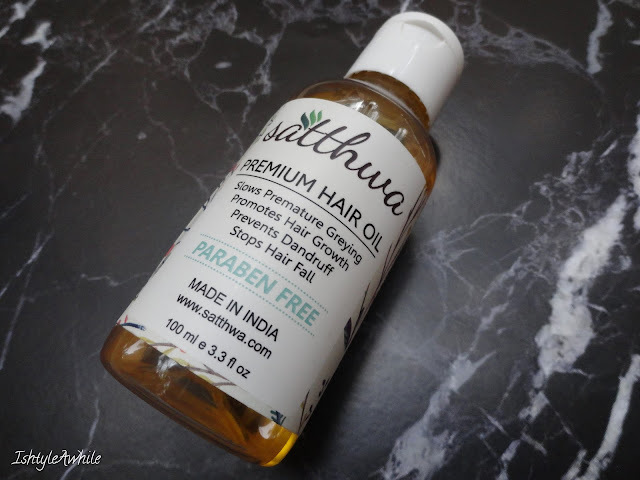 Honestly as a blogger, I am always trying new products so I would probably repurchase this if I find that my hair fall increases when I stop using it. You know sort of like a backup hair oil. What is your thought on using an all-in-one blend of oils? Let me know in the comments section below. *Disclaimer- The product was sent to me in exchange for my honest opinion about it.